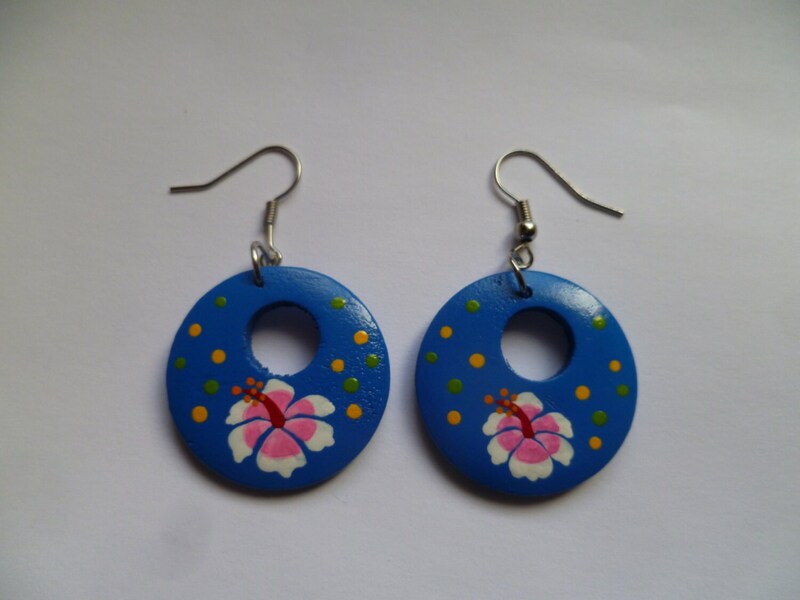 These handmade wooden earrings are beautifully carved and and hand painted so each pair are unique. They would make a perfect gift to either yourself or friends and family. They make a beautiful natural statement. 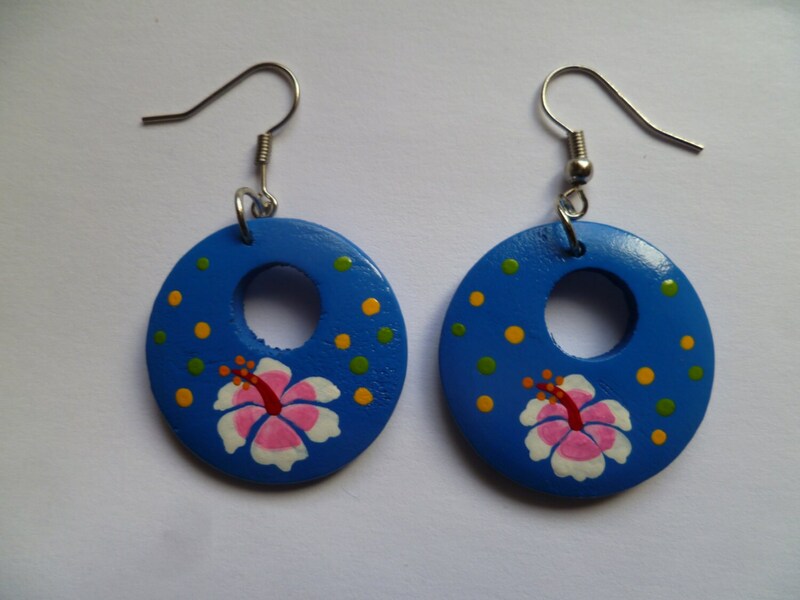 These are large earrings measuring approximately 5.1cm x 3.1cm including the earring hook.